Shri Anindya Banerjee is a member of the Indian Foreign Service. He has assumed charge as Assistant High Commissioner of India (AHCI) in Assistant High Commission of India, Chittagong, Bangladesh on 3rd October 2017. 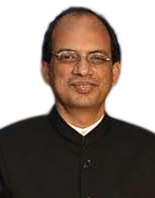 He has served the Government of India in the Ministry of External Affairs, New Delhi in various capacities. His previous diplomatic assignments were in Dhaka, San Francisco, Yerevan, Muscat and Seychelles. Shri Anindya Banerjee is a graduate in Science with Honours in Chemistry. He speaks Bengali, Hindi and English. He is married to Mrs. Runa Banerjee and they have one son.